The temple the fund supports traces its roots back some three hundred years to a woman named Ammajadiyar who placed a Vel, a symbol of victory and knowledge, at what is now the Sri Lankan island temple site. 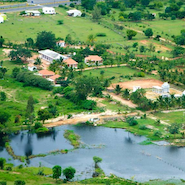 Dr. Nadaraja Balasubramanian, a physician practicing in the United States, has powerful personal ties to the Pallampulam Murugamoorthi Kovil, a temple in Saravani, Velanai, an island off the northern coast of Sri Lanka. "The temple was very close to my parents and grandparents," shared Dr. Balasubramanian, a native of Sri Lanka. "When I was ten, my grandfather told me he wanted me to make sure that the temple would be well cared for after we are gone." To fulfill that noble wish, Dr. Balasubramanian has established the Pallampulam-Saravani Murugamoorthi Thirukkovil Endowment at the Hindu Heritage Endowment. The fund supports the maintenance, repair and improvement of the classic South Indian style temple and its grounds and gardens, as well as underwriting priest salaries, supplies for pujas and temple educational programs. He hopes that the permanent fund will one day produce enough income to pay for temple maintenance well into the future. "HHE is, in my opinion, the best away to make sure that my grandfather's wishes are fulfilled," he said. Ideally, Dr. Balasubramanian would like to extend his help beyond the temple to the villagers living near it. In 2009, the area began emerging from a prolonged civil war, with Tamil refugees returning and reconstruction starting. This cytopathologist is undaunted by the ambitiousness of his goals. "Faith can move mountains," he affirmed. "Modern research has shown that telomerase activity, which helps to repair DNA damage, can be significantly affected by chanting, meditation, singing bhajans and doing pujas." Dr. Balasubramanian sees the fund as more than a way to honor his grandfather's memory. "Extending one's interests beyond the immediate family is, I believe, an important hallmark of spiritual maturation," he added. "It is the essence of all religions and philosophies." 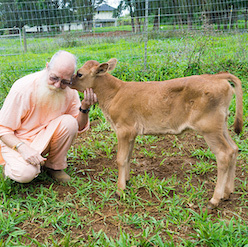 Dr. Balasubramanian became interested in Vedanta and Hindu philosophy after listening to Swami Dayananda Saraswathi at the Arsha Vidya Gurukulam, an ashram in Saylorsburg, Pennsylvania. Though raised Hindu, he found that study at the ashram "put things in perspective. 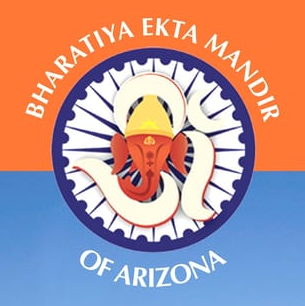 It changed my vision and enabled me to have a greater understanding and appreciation of the tremendous work done by Satguru Sivaya Subramuniyaswami in Hawaii." The temple the fund supports traces its roots back some three hundred years to a woman named Ammajadiyar who placed a Vel, a symbol of victory and knowledge, at what is now the temple site. "Over the years, the site gradually became a temple," Dr. Balasubramanian explained. In 1962, his grandfather, Vellupillai Subramaniam, installed the image of Lord Murugan, a Deity especially revered by Tamil Hindus, in place of the Vel. "There is a saying in Tamil," he explained: "Kovil illa uril kudi irruka vendam;" "Do not live in a village where there is no temple." If you wish to join Dr. Balasubramanian in contributing to the Pallampulam-Saravani Murugamoorthi Thirukkovil Endowment (fund #83) or to create your own fund, contact Sannyasin Shanmuganathaswami at 808-822-3012 ext. 244 or hhe@hindu.org, or you may give immediately at www.hheonline.org/donate.shtml.